Bob Reeves patented his sleeve system in 1974 (US Patent 3,808,935). This system allows the trumpet player to optimize his/her gap for sound, pitch, and playability or to use the same mouthpiece in different horns that require a different gap. 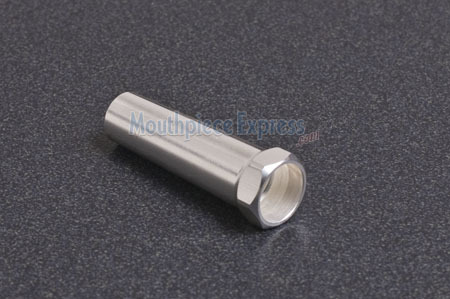 Once a mouthpiece has been converted for the sleeve system, different sleeves can be used in order to "dial in" the correct gap. Bob Reeves' sleeves vary in diameter in small, but significant, increments thus increasing or decreasing the gap. They are available in half sizes from #0.5 through #7 (largest gap is #0.5, smallest is #7). The change in gap from one sleeve size to the next is .0625" (1/16 inch). 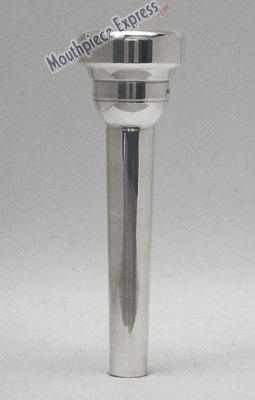 The annulus, or "gap," is the space between the end of the mouthpiece and the start of the leadpipe. Math-Physics tells us that the gap is a tuning device which adjust the distance (pitch-wise) between the modes (notes). The correct gap is the one that works. Although some general guidelines can be followed, the proper gap for any individual can only be determined through experimentation. Any formula trying to determine the correct gap does not take into account the player and his/her affect on the resonance frequency of the mouthpiece caused by different lip penetrations. Remember, it is the effect on the acoustic wave, not the airflow, that is important when determining the correct gap for you. 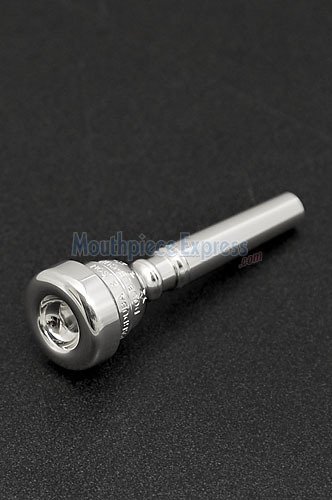 Please Note: Your mouthpiece must be cut for sleeves to use Mouthpiece Sleeves.